Happy Monday! 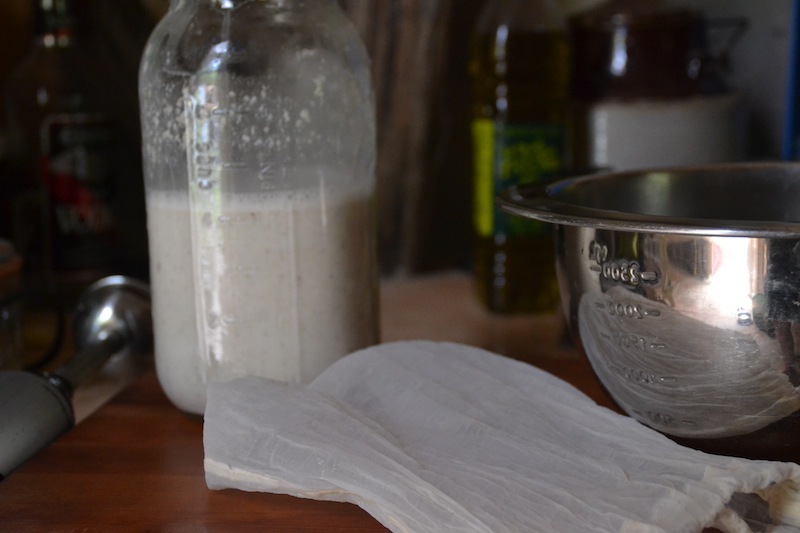 I’m taking a brief respite from drilling post holes for Juno’s new fence to share with you how to make delicious Oat and Almond Milk, with none of the added ingredients or throw-away packaging that you’d get at the store. Read on below. 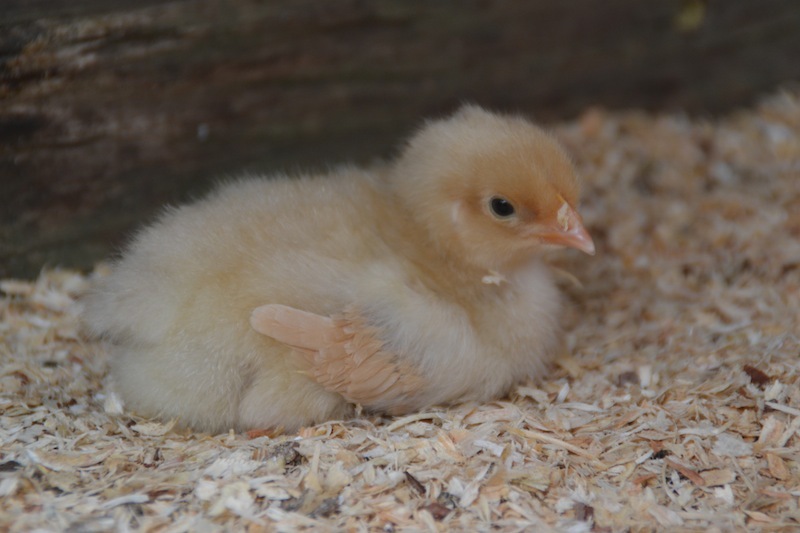 Meanwhile, the Buff Orpington chicks arrived mid-week and are growing by the day! 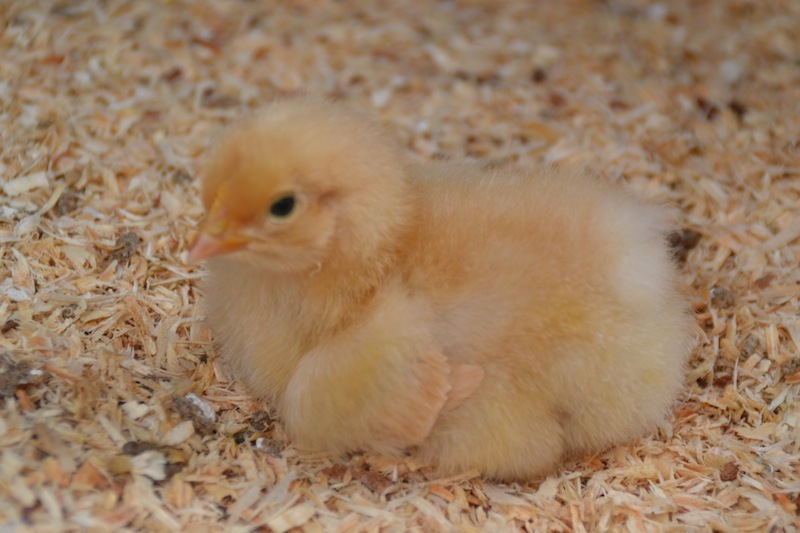 They are extremely calm and friendly chicks, and just as cute as can be – larger and fluffier than the Ameraucanas were. Fortunately, they are safely locked down in their brood-box, for as I sit here I see a small kestrel on the prowl for lizards, mice and other small tasty critters – I’m sure that a chick would make a very tasty lunch for her. Before I forget, Nidulari has two specials this week: our Artisan Focaccia with fresh local rosemary ($10), and a white loaf encrusted with sesame seeds ($7). We’ll be open from 2:30-6:30pm on Mahogany Road, or you may order ahead for delivery to Cruzan Gardens on Midland Road. Sometimes you need to treat yourself to something special. 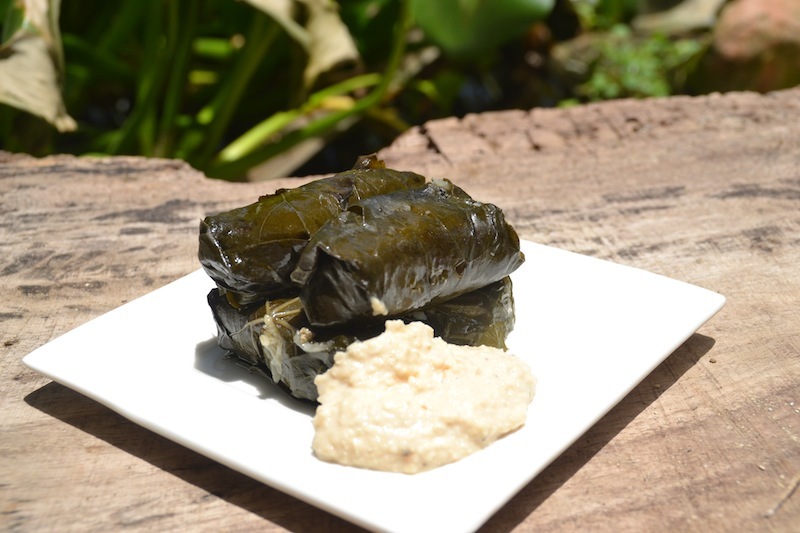 Homemade beef Dolma with a baby-lima bean garlic dip hit the spot for lunch today! Back to milk making. 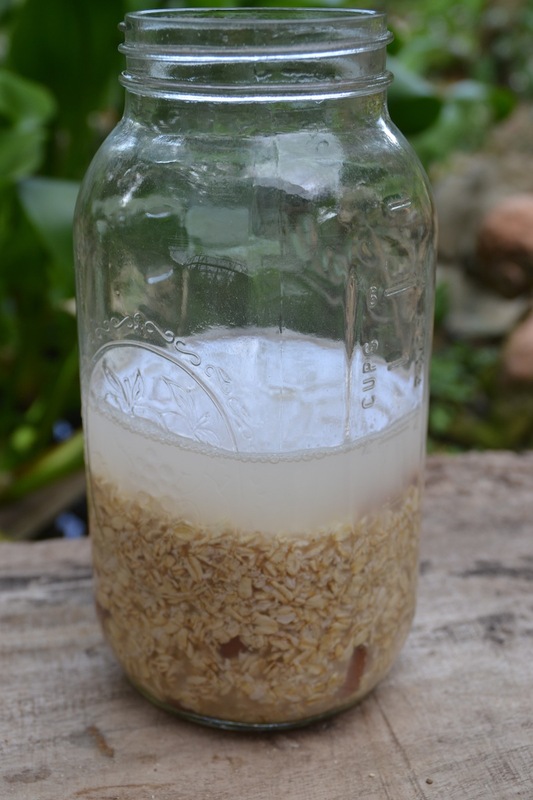 I’ve been trying to avoid dairy for allergy reasons – and the lack of a local, natural milk supply – so I decided to try making my own oat, rice, or almond milk so that I might control what it contains. 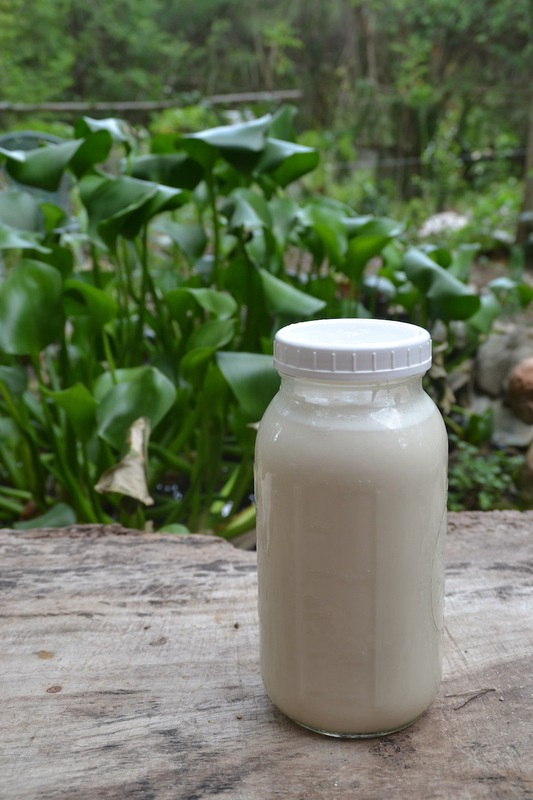 As I’ve mentioned before, we do make coconut milk, but I find that it is far too heavy for daily use, and I find the coconut flavour to be overpowering. 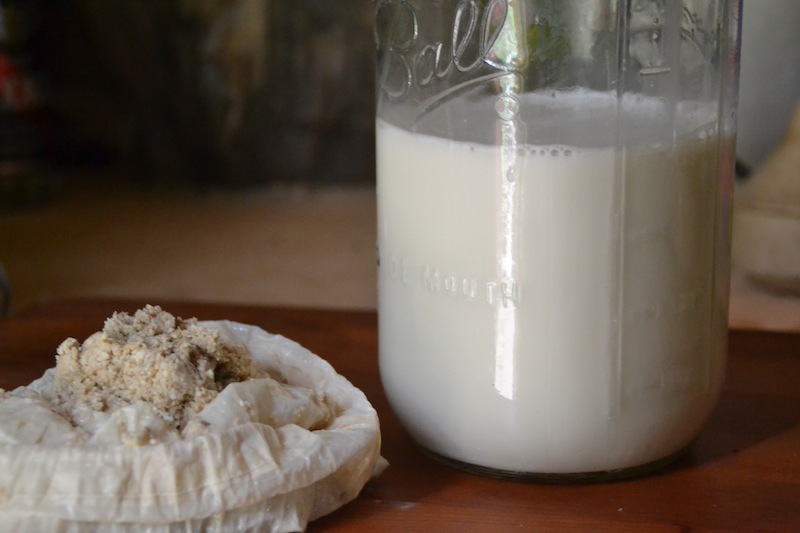 As it turns out, non-dairy milk is easy (and cheap) to make! The same method goes for all, except that rice has to be cooked before starting the process, and that for almond milk you only need about 1/2C almonds for 8C milk. 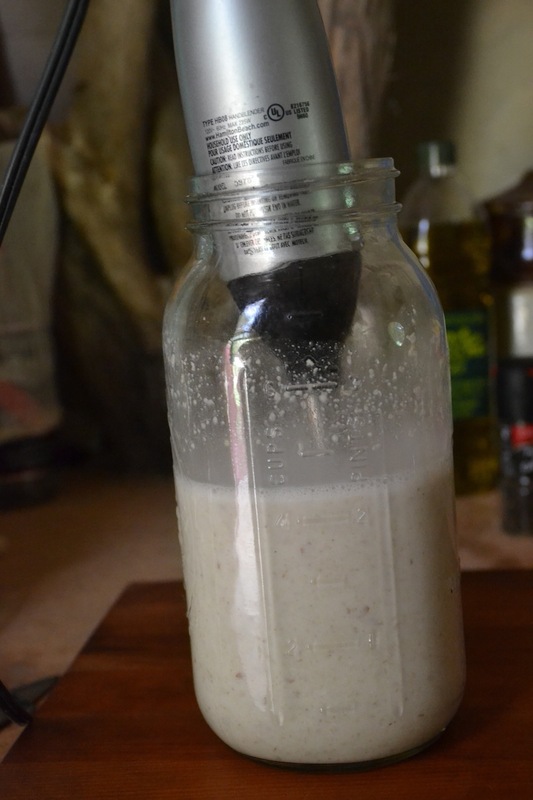 I use an immersion blender, a half gallon mason jar, a nut-milk bag, and a mixing bowl. You could equally well use a blender, a piece of fine cotton cloth, or a very fine sieve. 1. 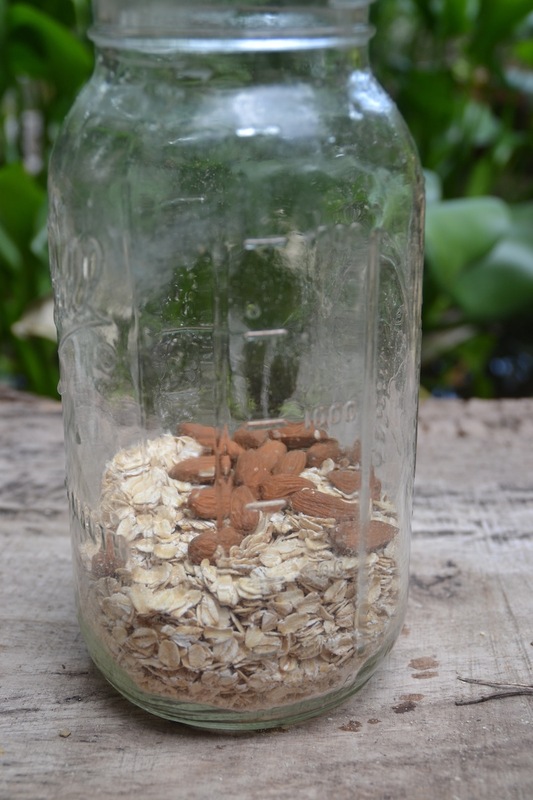 Measure out 2 cups of rolled oats and a handful of raw almonds (optional) into your jar or blender. Fill with water, stir, and drain a couple of times until the water comes off nearly clear – otherwise your final product will be somewhat mucilaginous (not a good texture for milk). 2. Add enough water to your rinsed and drained ingredients to fill the jar or blender halfway. Blend on high speed for roughly 30 seconds. You’ll have a somewhat thick, lumpy liquid. 3. Pour the contents of your jar into the nut-milk bag or cloth (in a bowl) using a little more water to rinse out the jar and adding that too. Now twist the top of your bag closed with one hand, and start squeezing the bottom of the bag with your other hand. This process will take a few minutes and some firm squeezing in order to get all the milk out. 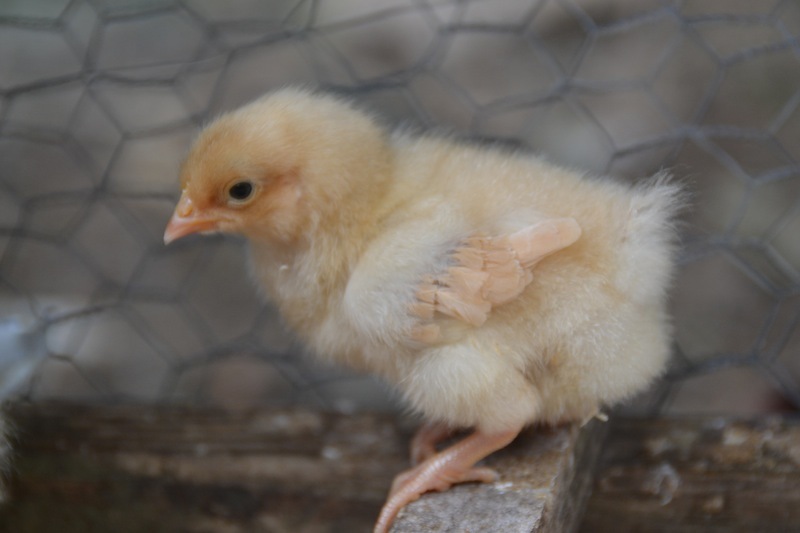 You should end up with a bowl of thick, creamy liquid, and a handful of firm, almost dry oat residue (chickens love this, or try mixing it into your dog’s food, a bread recipe, or pancake batter). 4. Pour your “cream” back into the jar/blender and add your “flavour”. I like to add 1/2t sea salt (makes it keep better and enhances the natural flavour) and about 2T unrefined sugar. A dash of cinnamon is nice, or you can make a decadent “chocolate milk” by adding a few tablespoons of cocoa powder. Experiment. 5. Now top up your jar/blender with water until you have a total of about 8 cups, and blend once more for a few seconds to mix everything together. I find that this milk is “acceptable” at room temperature, but really good once it’s cold, so go ahead and refrigerate it right away. It will separate a little as it sits, so be sure to shake or stir before serving. What are you waiting for? Get to milk making, and don’t forget to order your bread for the week! Care and housing of Red Footed Tortoises in the tropics. I think we will definitely be trying your milk recipe :D I never thought of making our own, but why not if it is this fast, easy, and cheap! 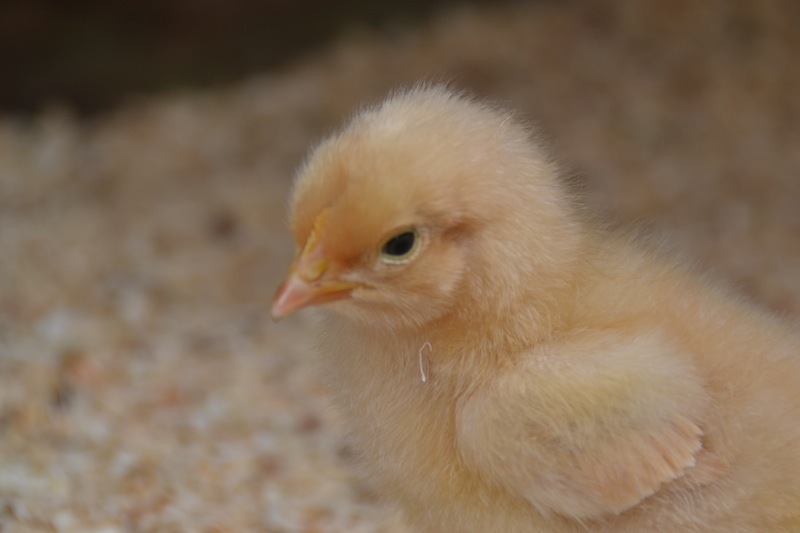 Also – your chicks are adorable!